Maurizio Sarri has called on Callum Hudson-Odoi to respect Chelsea following ongoing speculation about the youngster’s future at Stamford Bridge. The highly-rated Hudson-Odoi’s long-term future has been under the spotlight lately with Bayern Munich heavily interested in bringing him over to the Bundesliga. The Blues forward is understood to be keen on a switch to the German champions, with Chelsea’s new contract offer worth £85,000-a-week remaining unsigned by the 18-year-old. With four bids from the Bavarian giants already turned down by the west London club, including the latest worth a reported £35 million, Hudson-Odoi has handed in a transfer request in a bid to force his exit from Stamford Bridge. However, it is understood the Chelsea hierarchy rejected the forward’s request as they are keen on keeping the London native at the club. 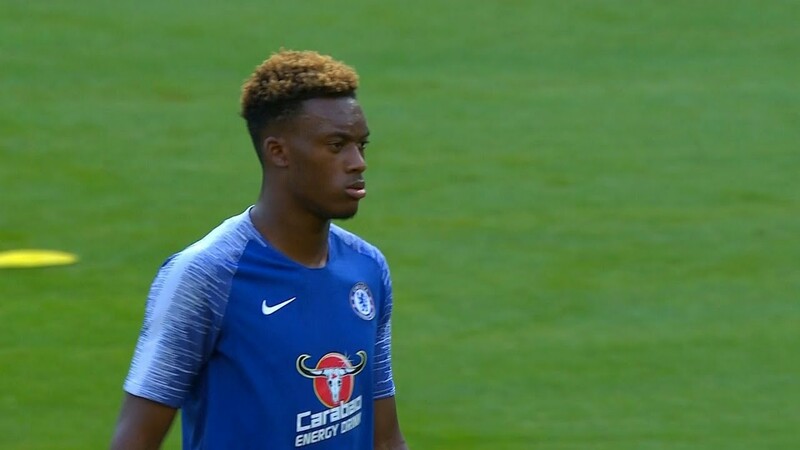 As speculation swirls around Hudson-Odoi’s long-term future, Sarri has chimed in on the forward’s situation, stating the 18-year-old should appreciate the effort put in by the club to get him to where he is today. Hudson-Odoi has so far refrained from signing Chelsea’s new contract offer pending assurances regarding first-team opportunities. Despite an impressive pre-season under Sarri, he has so far only made 11 appearances across all competitions for the west Londoners, registering two goals and three assists in the process. It remains to be seen whether Chelsea would be able to convince Hudson-Odoi that his long-term future lies at Stamford Bridge.